Luxury travel… Who wouldn’t like to belong to the elite and be one of the lucky ones who can easily afford the best destinations worldwide? When money is no problem, travelling becomes a preferred hobby. At least, this was the result of a series of surveys conducted recently by the Hurun Report. The findings were based on one-on-one interviews with 463 Chinese millionaires and billionaires. “New-found wealth and mobility means that travel…is now high on the agenda for China’s elite,” concludes Rupert Hoogewerf, CEO of the Hurun Report. While for many of us ‘high on the agenda’ is still paying the monthly bills, let’s still look at the top 10 favourite domestic destinations of the Chinese rich and super rich. After all, these places offer different kinds of accommodation, catering, entertainment and shopping facilities. So, even if you’re budget travelling, you find something that suits you! One of China’s seven ancient national capitals, the city of Hangzhou, Zhejiang Province, is a highly sought-after destination not only for the Chinese wealthy people, but also for millions of regular tourists. Whether you are an elite member or not, the breath-taking views of the West Lake will make you believe that sometimes, heaven can be found on Earth. 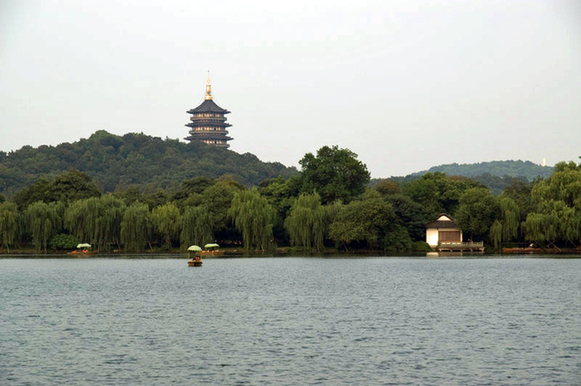 No wonder, in June 2011 the West Lake cultural landscape of Hangzhou made its way on to the UNESCO World Heritage List. Do we really need to look for any explanations of why the heart and soul of China, Beijing, has ended up in the top list? The city is like a huge magnet that no one can resist. Whether you possess the same amount of money as a Chinese millionaire or not, Beijing can quench your thirst for exquisite historical and modern architecture, not-to-be-missed museums, all-you-can-dream-of festivals, sport events topped off with a peculiar fashion sense. For sure, Chinese millionaires have an eye for the sweet things in life by placing Dalian high on the list of their favourite destinations. Embraced by the Yellow Sea to the east and the Bohai Sea to the west, the port city of Dalian could lure you with its scenic beaches, fresh seafood and gentle sea breezes. Despite last year’s notorious oil spill that saw as much as 1,500 metric tonnes of heavy crude oil leak into the waters surrounding the port of Dalian, local tourism luckily hadn’t been dramatically affected. In Dalian, it’s all about nicknames. The city is often dubbed ‘Oriental Paris’ and ‘Oriental Brazil’, and both are given for good reasons: fashion and football. For years, the city has been stirring fashion lovers’ blood with its grand annual International Fashion Festival. Besides, the city is home to Dalian Shide F.C., one of the icons of China’s football. China’s special administrative region Macao is without a doubt the world’s gambling Mecca. Its grandiose casinos dwarf even the casinos of Las Vegas and keep the chips rolling and a glittering array of slot machines humming day and night. Macao’s bewildering glitz and glamour and non-stop gambling pull in wealthy people from all over the country. For the tourists, Macao is a place to find the traditional Chinese culture while enjoying the exotic Portuguese architecture. Although Macao is the world’s most densely populated area, there’s always room for fun. Loads of fun. Mountains piercing into the sky, snowcaps sparkling in the sunshine, secluded lamaseries and unique culture of its own: This is the magnificent Tibet. It is “The Roof of the World” that attracts both Chinese millionaires and ‘mere mortals’. Lhasa, the capital city of Tibet Autonomous Region (TAR) and an object of devout pilgrimage, is definitely the number one place to see in Tibet. Keep in mind that if you intend to visit TAR, just a Chinese visa is not enough. 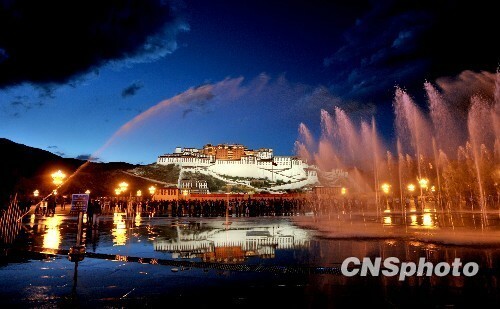 You need to get at least Tibet entry permit, issued by Tibet Tourism Bureau. Also, if you’re travelling to Tibetan so-called ‘restricted’ areas or military sensitive areas, you’ll need a travel permit or a military permit respectively. Stay tuned and soon we’ll move on to the dessert of our menu. Which of China’s cities and regions are in the top 5 dream destinations for the people with big money? Each of us is aware that time is money. When these two are on hand, you can enjoy vacationing. So, where do the people with fortunes go on vacation? We have already started the countdown of the domestic destinations most liked by Chinese millionaires, according to the Hurun Report. Now it is time to get to the cream of the crop. Nothing is as easy as to fall for Shanghai’s unique atmosphere, making your head swirl with the city’s non-stop metamorphoses, staggering pace of development and a very sophisticated culture mix of both East and West. 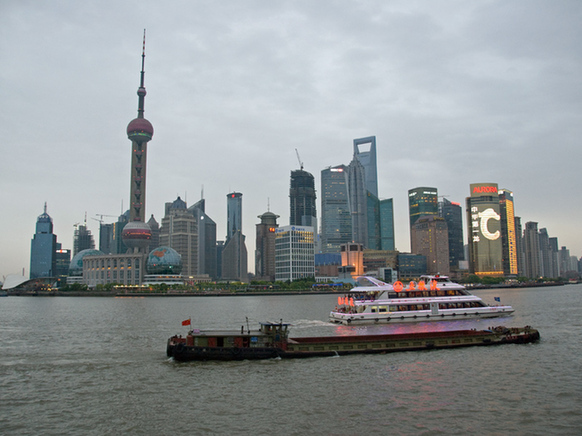 When you’re in Shanghai, you’re surely living China’s dream. The dynamic metropolis, where one in every 175 citizens has personal wealth of more than 10 million yuan, doesn’t lack ‘home-bred’ millionaires. Above that, the city is like a lighthouse to welcome the super rich holiday-makers from throughout China. Anything you can think of is at hand in Shanghai: luxury shopping, family activities, pulsating nightlife, music happenings and much more. 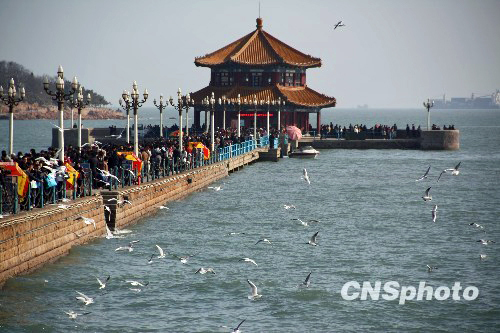 A westerner coming to the city of Qingdao, Shandong Province, will be amazed by a great deal of European architecture, making it hard to understand, in which part of the world you’re actually are. For many years, the enchanting seaside city was Germany’s colony. Qingdao is just the right place to quench your thirst, thanks to the iconic local beer named Tsingtao. The city also boasts the Qingdao International Beer Festival, which is, in a way, the city’s very own Oktoberfest. Come and have taste of Qingdao! A whole province on the list? Surely, Yunnan Province is a special case for Chinese millionaires. And so is it for everybody else. Where else in China life comes in such a plethora of cultures? Out of China’s fifty-five officially recognised ethnic minorities, twenty-five can be found in Yunnan, giving the province additional cultural value in terms of colourful festivals, unique customs, versatile clothing styles and the cuisine which will surely take your taste buds into paradise of peculiar flavours. It would be wise to start exploring Yunnan in the capital city of Kunming. One of the good destinations to continue could be the Old Town of Lijiang founded by the Naxi people. In 1997, this “Venice of the East” was claimed the UNESCO World Heritage site. Number two is Asia’s World City. Hong Kong is proud to have a nickname that perfectly reflects its multinational nature and diverse cultural influences the city has absorbed. The vibrant metropolis has always been loved by tourists, but be ready that Hong Kong may easily overwhelm. Here, you can find all that money can buy. But if it’s not ultimate luxury that you’re looking for, visiting Hong Kong is full of simple, and therefore, not-so-pricey pleasures as well. Priceless memories are not necessarily at a high cost. By the way, maybe some of you would like to experience Hong Kong in 24 hours? And the winner is… Sanya! A similar place can’t be found anywhere else in China. Probably, that’s why Sanya currently enjoys the status of the most popular domestic destination for the Chinese rich. 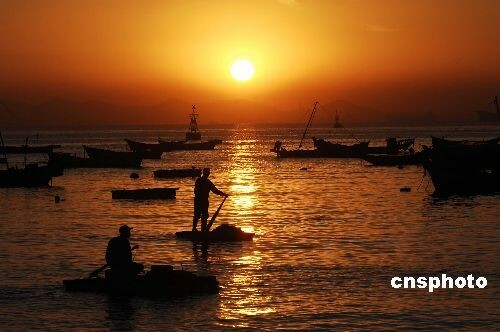 The atmosphere of the resort city, lying on the country’s southernmost point, at the tip of Hainan Island, is so different from other places in China. The lifestyle here seems to be so relaxed, easy and carefree that you may get lost in time and space finding yourself wondering if you’re really still in China, the land of Confucius, dragons and pagodas. With 20 kilometres of sandy beaches, welcoming sunshine all year round, palm trees and an enchanting tropical oceanic landscape, Sanya is a perfect destination for devout beach holiday-makers. Have a stroll in Sanya’s Luhuitou Park which is also known as Deer Turning Head Park, breathe in its romantic atmosphere derived from the touching ancient myth about invincible love and feel the love for Sanya arousing inside your heart. The top 10 destinations so much loved by Chinese millionaires and domestic luxury travellers are full of diversity. Everyone will find their own place to travel under the China’s sunny or cloudy skies, no matter if you travel by train or private jet.